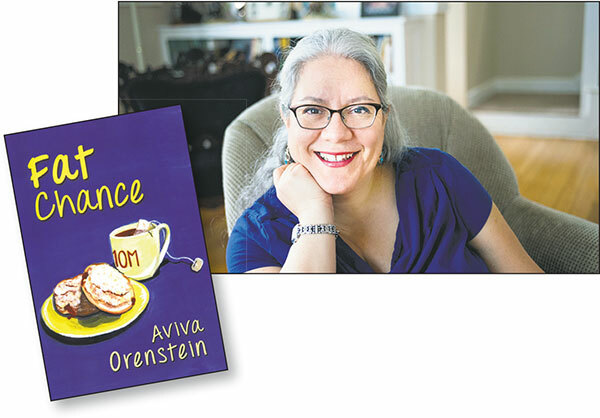 Author Aviva Orenstein acknowledged that her Fat Chance protagonist, Claire, is in many ways her alter ego. Fat Chance, a new novel by Aviva Orenstein, is set in an imaginary New York suburb, but you would not be blamed for thinking that Hudsonville is a stand-in for the author’s native South Orange. Focusing on a community with overlapping circles of Conservative Jews, the book explores contemporary Jewish identity. The characters are almost all engaged in the local Jewish community, hosting sisterhood book groups, volunteering at the local hospital, reading Torah on Shabbat mornings — with the exception of the lead character, Claire, who has turned away from the rules-bound Judaism of her childhood. As she struggles with her different roles — professional, single mom, friend, lover — she watches with a certain wistfulness as her friends find comfort and meaning in ritual, observance, and community. Over the course of the book, Claire, an attorney who works in human resources for an unnamed company, saves a woman from domestic violence, comforts a friend following a traumatic miscarriage, has an affair with a local rabbi, grapples with issues of weight and fitness, and meets her ex-husband’s much younger new wife. Growth, which everyone around her seems to embrace, comes hard to Claire. On Sunday afternoon, May 22, Orenstein, who lives in Bloomington, Ind., will read from Fat Chance at [words] bookstore in Maplewood. She spoke by phone with NJJN about her book on a recent morning. Orenstein acknowledged that Claire is, loosely, her alter ego. They share many traits — both are lawyers, enjoy glazed doughnuts, eschew fashion, raise(d) difficult teenagers, and help people in need, whether children facing neglect and abuse, or women in violent relationships. “The struggles with faith, weight, and teenagers are all true to my life,” said Orenstein, a law professor at Indiana University’s Maurer School of Law in Bloomington. The novel, Orenstein’s first, was published in February by Quid Pro Books, which focuses on fiction written by attorneys. The law makes appearances in the narrative, whether through serious issues like domestic violence or hilarious approaches to workplace issues. (Consider the retort to someone blithely and mistakenly claiming rights under the First Amendment. “Have you read the first Amendment?… Let me tell you how it goes. ‘Congress shall make no law abridging the freedom of speech.’ Do I look like Congress to you?”) It’s a crack Orenstein used once before, when she was serving as guest columnist for the Bloomington Herald-Times from about 2007 to 2009. Those columns and a creative writing class Orenstein took “about 15 years ago” form the core of her non-legal training as a writer. But that doesn’t mean she doesn’t find it difficult. “Part of what I find the hardest is prayer,” said Orenstein. “It’s hard to feel comfortable praying to and praising God. But I find it’s the best quiet time for introspection and community.” And when she visits South Orange, she said, “I love going to morning minyan.” She is also looking forward to spending her upcoming sabbatical studying at the rabbinical school of Hebrew College in Boston. “I’m so excited — they are giving me a Talmud test soon,” she said. The synagogue in the novel could easily be mistaken for Congregation Beth El in South Orange, where Orenstein’s father, Jehiel, who died in 2013, served as rabbi for 35 years. 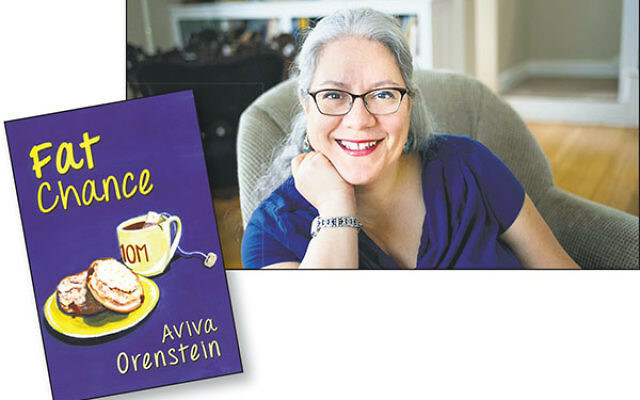 And while Orenstein makes it clear that her fictional rabbi is not her father — particularly given the character’s flaws (“My mother wants it to be clear that he is not based on my father!”) — she acknowledged that certain aspects of his character — “the unpretentious parts,” like spending time with teens and “with people who came to shul and needed him” rather than with wealthy potential donors — inevitably reflect Rabbi Jehiel Orenstein. Orenstein is hopeful that the book will be well received. “If this takes off, I want to write a sequel in which Claire meets the next guy she dates after losing to another attorney in the courtroom.” It will still be set in Hudsonville, which will still look like South Orange, even if it’s “entirely imaginary” and “not New Jersey,” as Orenstein insists.